Contrary that most of the people would assume, Eagle is not a musician but a hitman. 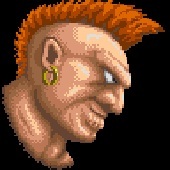 Working for a rich familiy as a bodyguard, Eagle was hired to defeat Sagat during the first Street Fighter. What I found interesting about this character is that Eagle is one of the few (If not the only) fighter who carry weapons during combat. 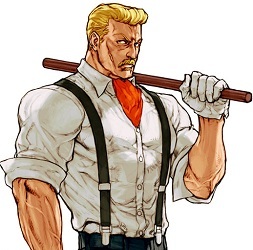 His updated version in Capcom vs SNK 2 was fantastic, and the contrast between his gentleman looks and his violent background is a great combination who renember us the underground violence covered with etiquette in the modern England. Im really proud about this entry, I have improved a lot in terms of sharpness in the picture, as always I like of the expression and the lighting on the face. 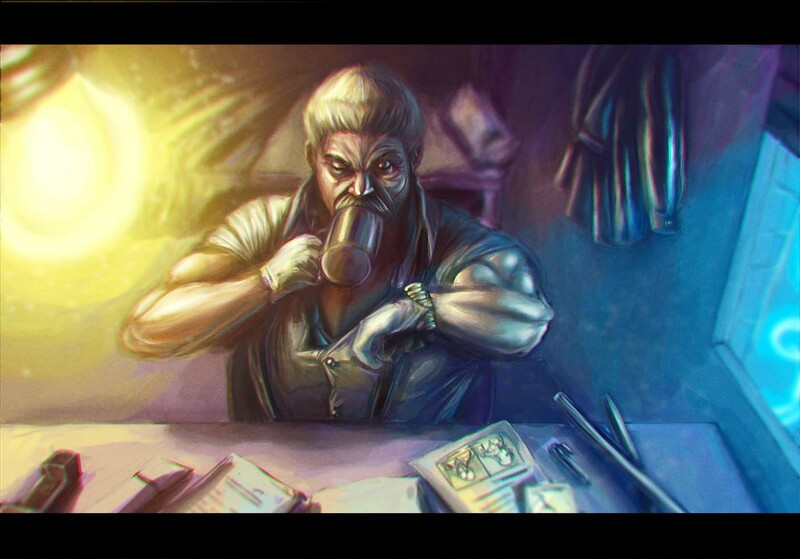 I imagined him in the night before the battle starts, He could be in a cheap motel reading all the documents and intel info about Sagat after he arrived Thailand. 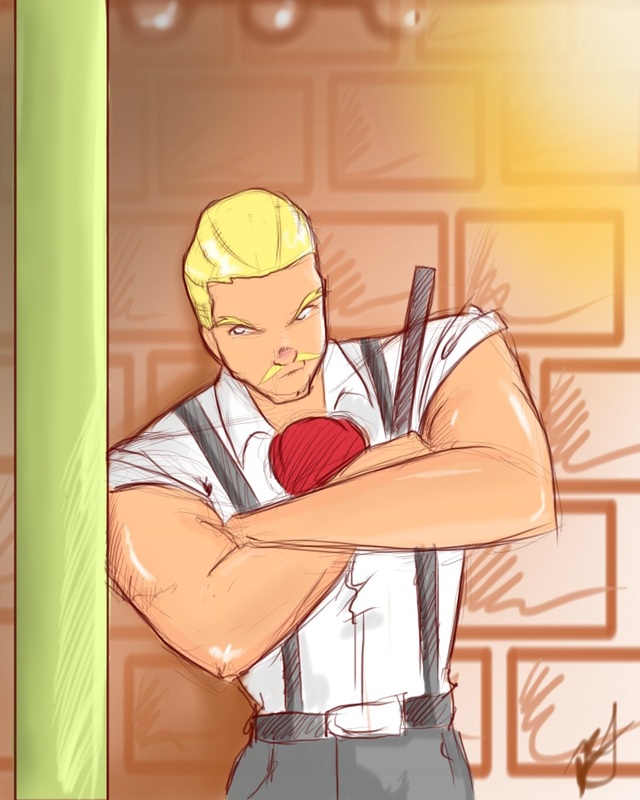 That’s why I decided to paint him in a casual way instead of the classic “badass” staring at the camera/fighting pose. Eagle`s design since Capcom vs SNK 2 is seen as a homage to Freddie Mercury, the dead frontman of the british rockband Queen. 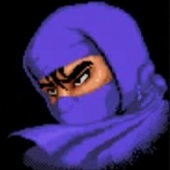 In multiple japanese win quotes of SF Alpha 3 it is implied that Eagle is also has the same sexual orientation as Freddie Mercury (homosexual), making him one of the few gay fighting game characters.